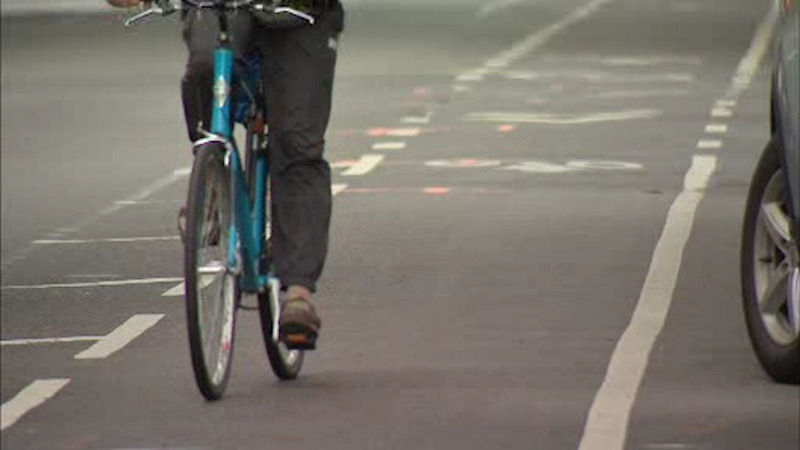 BROOKLYN (WABC) -- The battle over bike lanes entered its second round at a public hearing in Brooklyn on Thursday. Brooklyn residents packed the Brown Memorial Baptist Church in Clinton Hill to voice their opinions on a Department of Transportation proposal to add a two-way protected bike lane to Clinton Ave. at the expense of a car lane. Cyclists, concerned about safety, like the idea, but drivers are opposed, arguing that it would create a traffic gridlock. Community Board 2 held its first town hall Tuesday, packing the church's Fellowship Hall with more than 300 people for and against the bike lane. Thursday's meeting resumed the conversation.